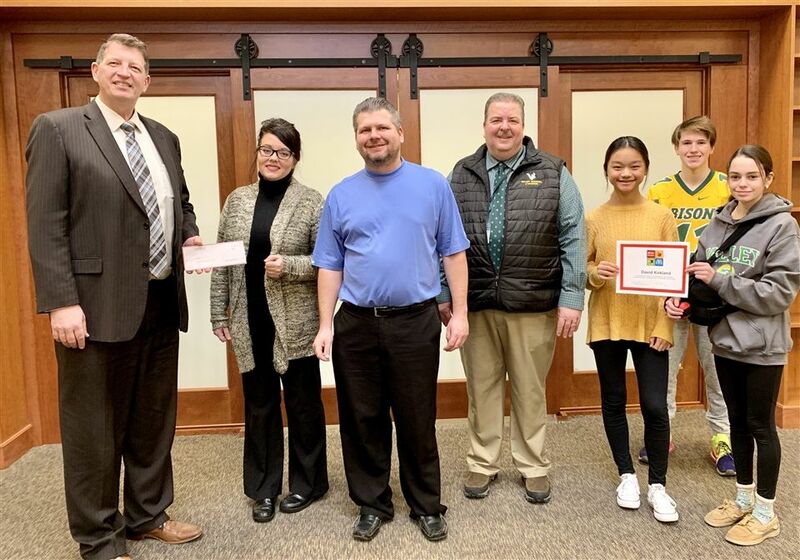 In Valley School’s case, the MAC grant will be used to purchase activity supplies that are a part of Valley School’s innovative program, Capstone Days. During Capstone Days, which take place every May, all 5th – 8th grade Valley School students participate in a week-long, in-depth course of their choosing. The subjects offered change every year, but in the past, options have included Songwriting, Fly Fishing, Tie-dying Techniques, Engineering Simple Machines, Ancestry Investigations, Advanced Film Study, Self-Reliance, Community Service Projects, the Art of Frida Kahlo and Diego Rivera, and Yoga. Mr. Kirkland is thrilled that the grant money will enable him to enrich the program. Upon receiving the news that he won the grant, he expressed the importance of educational experiences like Capstone Days. “This program provides our students with opportunities to engage deeply with ideas in a highly-focused way. It is experientially significant because they discover a new way of learning. While the majority of their school days are divided into academically differentiated segments, during Capstone Days, they work long and hard on a single topic of their choosing. They feed a passion, and develop an aptitude for a subject they might not otherwise encounter.” When asked about their favorite part of Capstone Days, students reported that they enjoy shifting to creative work after finals, and that they are grateful that Valley School encourages them to explore new interests. Several students are already looking forward to participating this spring. 6th-grader, Cricket Tatone, and 7th-grader, Maddie Manges, are hoping there will be a Baking or other culinary option. 9th-grade student, Connor Oechslin, would like to do Sports Analysis and Commentary.